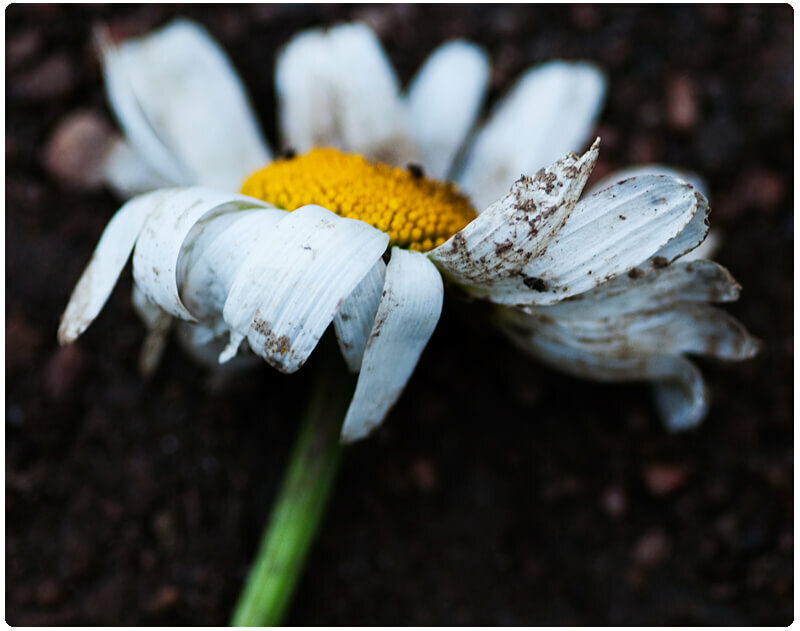 poor, broken, dirty little flower. It was very sad actually, people didn’t even notice, kept walking on it, drove me NUTS as I shot this at the local botanic garden! How depressing >_< lol Poor flower! That’s how I motivate people lol with depressing flower photos! 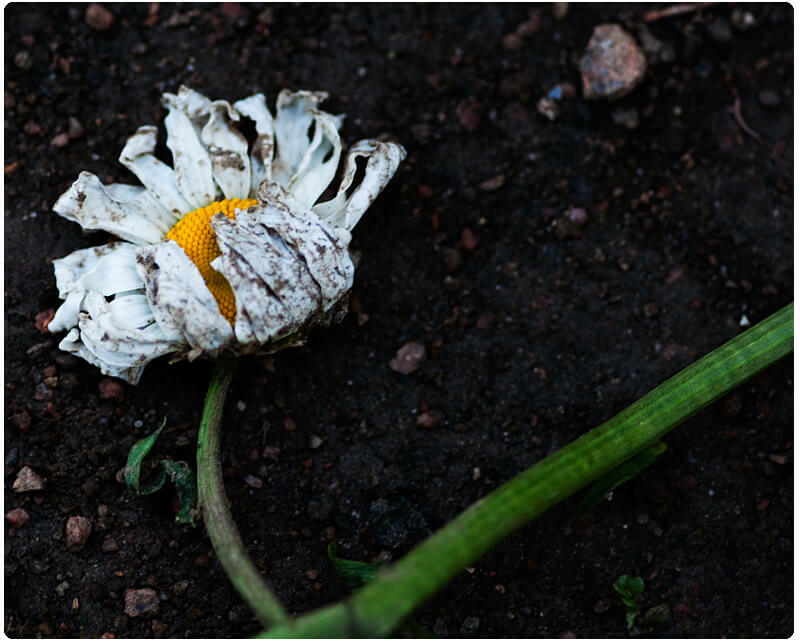 Sad to see such a lovely flower broken and dirty! Oh yes, people kept walking on them too, drove me crazy! LOL!! That’s what I do! Depress people with flowers! Life can be pretty hard sometimes. It’s a great reminder to take care of our environment. Well if that’s not a metaphor for the fragility of us all, then I don’t know what is. Great photos. Very thought provoking. Well done Sarah! Thank you so much! I think people want to ignore anything that isn’t “perfect” or “pretty”. I’ve not been feeling uber fresh and awesome lately so I thought these photos were fitting. You know, I didn’t even realize it was broken with the first one, just thought it was very earthy and beautiful. Oh yes, there were a couple more laying around, but I didn’t have time to shoot them (both kids were tired after being at the gardens for so long lol). How sad. That first one is actually beautiful though. Great pics. Happy WW! Thanks for linkin up! These are so sad…but so beautiful! I totally agree! Stopping by your WW post! Sad to see a flower like that however a great picture! Oh there were SO many parents just letting kids tear the flowers off or just run through the beds… this is at the botanic garden no less! Even though it’s a sad picture, it’s a fantastic shot! First time on your blog and it’s absolutely beautiful! Aww thank you so very much Uyen! Thank you! Oh yes, I used a decently shallow DoF with those photos. Really nice shots. Truly wordless. Poor flower. I feel a bit bad for it. The pictures are nice though. LOL I am apparently making a lot of people sad with these photos! That is so poignant. You’ve captured beauty and sorrow in the same shots. I stopped by your WW! I especially like the second one. Nice job. I have days where I feel like that flower. Great photos, as always. Happy WW! Oh same here, I think (or like to anyway) that everyone does at one point or another! what a wonderfully amazing picture! you captured it beautifully! Poor thing … that’s so sad! It really was quite sad, seeing everyone WALK on the flowers, people have no respect for even the smallest thing I swear! Awww, poor little daisy. That first shot is just divine. LOVING your blog design, and your photos are fantastic. I love that even “broken nature” can look amazingly beautiful. I think the second picture looks like an album cover for an emo band. HAHAHA omg that is AWESOME! Very pretty! What kind of camera do you use? Thank you! Currently I use a Nikon D90 with a variety of lenses although I mainly use my Sigma 105mm Macro and 50mm f/1.8. Lovely pictures. I really liked them and now want to go outside and take some of my own! Yay thank you! Yes you should take some photos and share with the rest of us!! Wow that is absolutely gorgeous! I like the way you portrayed the crushed petals of a lonely flower :) I also feel the flower is going crazy at last!